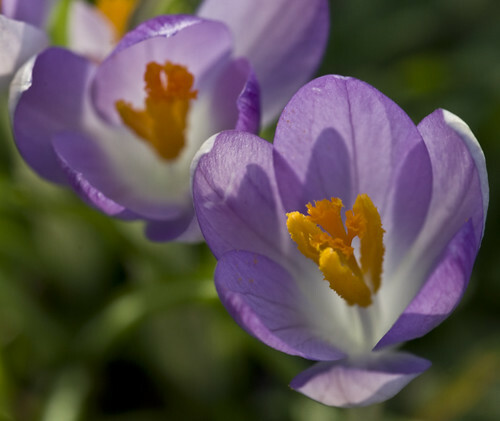 I love crocuses, they are such beautiful flowers and bring such hope, they’re one of the first flowers of spring and bring the promise of the warmth and colour of the summer to come. Here in Britain they shoot up around February to March and you can see a variety of shades of purple, white and yellow blooms. They’re very prevalent in the UK as they are a popular perennial that people plant in gardens and places of interest, but occasionally you see them in a more wild setting and they are just as beautiful. It was a very sunny day when I took this picture and I love the shadows and sheen from the reflections, it all seems to enhance the natural beauty and delicacy of the blooms. This entry was posted in My Art, Photography and tagged beauty, bloom, crocus, crocuses, engish flora, flora, flower, flowers, natural beauty, nature, perennial, perfection, perfection's promise, photo, photograph, photography, promise, ruth weal, seasons, spring, wealie. Bookmark the permalink.